My all-time favorite music app is GarageBand. 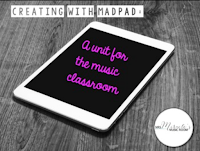 It is SUCH an amazing app, allowing students to create and compose on instruments such as the guitar and piano without knowing how to play those instruments. It also allows students to layer loops, which are like ostinati, and students can also record their own voices and instrumental playing. There is SO much you can do with this app; the possibilities are endless! My favorite project to do with GarageBand is by Music and Technology, and can be purchased here. I've done the project with success for two years in a row with my fifth graders, and it's such a great way to practice form and to use the app successfully! This is not technically a music app, but SO much can be done with a QR reader app! From visiting websites to listening to sound clips, scanning a QR code allows students to visit, listen, and read quickly without having to plug in any address into the browser bar. Read this blog post about how to create and use QR codes in the music room. So yes, this app is awesome! You can also play it on computer by visiting this website. This is such a fun app for exploring instruments and instrument families! The app includes sections to explore, to take quizzes, build your own variation, and more! I've had students work in small groups, start in the quiz section, and then go to whichever section they'd like next. I found out about this app on Pinterest a few years ago, and was just blown away! This is a free app that can be used to take assessments, with student data specifically assigned to each student! The app works best with an iPhone or Android (instead of an iPad)...simply scan the room for students' choices on their Plickers cards, and the app will track their answers. So awesome! Read this blog post about my experience with the app, and this blog post for Jamie Parker's ideas for the app. Admittedly, I have only watched my three-year-old play this app, but I think there are tons of really cool things that elementary students can do with this app (and my twelve-year-old seems to love it as much as my youngest!) If you drag one of the characters to the first level of the stage, he/she plays/ sings a simple melody. If you drag them to the second level, the melody becomes a bit more complex, and if you drag them to the third level, they add something, like dancing or juggling, to their melody! If you drag a character to center stage, then you get to make that character play/ sing whenever you want by tapping him/her! It's a great way to reinforce the idea of ostinato, as the character's melody keeps looping. Perhaps you've only used Instagram for personal purposes, but it can be a GREAT app for professional development as well! If you search a hashtag such as #iamamusicteacher, #musicteacherlife, #musicteacherproblems, #generalmusic, #iteachmusic, #kodaly, and/or #orffposse, you can find lots of great pictures and share ideas with lots of other music teachers! Click here to see a great picture book suggestion by @lizskodalyinspiredmusicroom, and here to see a fun bulletin board by David Row @makemomentsmattermusiced. 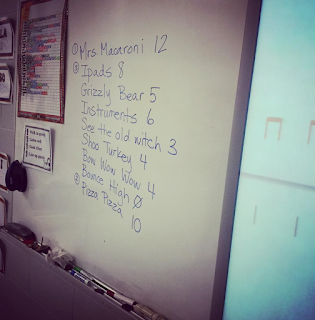 I just posted this picture on my Instagram recently with ideas my first graders came up with for their reward day; click through to see the comments about where to find the songs! 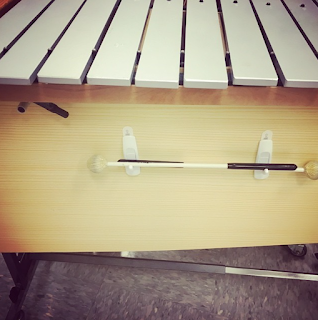 ...And here is a picture I posted of a new way I learned to keep mallets handy on Orff instruments! Many music teachers also post short videos of their classroom, which can be a great way to learn a new song, new dance, etc.! I'm listing these three apps all as #10, because they are all very similar apps, and you'll want to choose one depending on your situation. I use Powerteacher and LOVE it, as it shows me students' pictures, tracks student grades, allows me to create assignments in a grade book that is then pushed to students' report cards...but it only works if your district is using Powerteacher district-wide. iDoceo is another great grade book app, allowing you to create grades, schedules, seating charts, and more, but it does cost $10.99, which is a bit pricey. (Many people swear by it, though!) TeacherKit is another good grade book app. Although not as powerful as iDoceo, it is free! 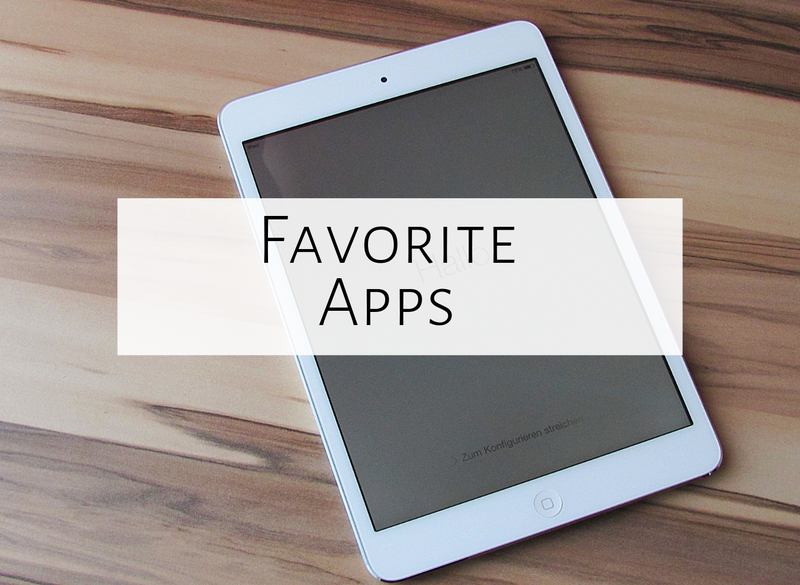 Looking for more iPad apps? 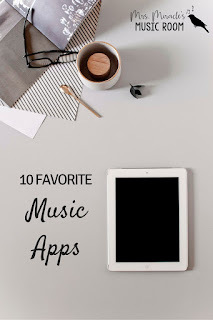 For a comprehensive list of free iPad music apps, check out this blog post, and download this freebie I compiled that has some of these apps, as well as other apps I love to use! What are your favorite music apps? Feel free to comment below, and enjoy the apps! My county purchased 12 iPad minis for all elementary music rooms last year with the adoption of Quaver curriculum, so I'm thrilled and on the hunt for free apps. I couldn't find Arpie or Young Person's Guide to the Orchestra. Do you know if they're gone now? Also, only Toca Band in a paid version. I know this is an older post, just curious if maybe the developer updated with a new name for those. I have Staff Wars on my teacher iPad only, so the challenge becomes finding the funds for bulk purchasing. Thanks for the information. Also, I meant to say that I use Plickers and love it! I appreciate hearing your insight on it. Also, QR reader comes within the Quaver App which the county pre-installed for us, so that was great. I'm just beginning to find other uses for it outside Quaver, including one TPT game. The students think it's so cool to hold the camera up and be "magically transported" to a new activity!